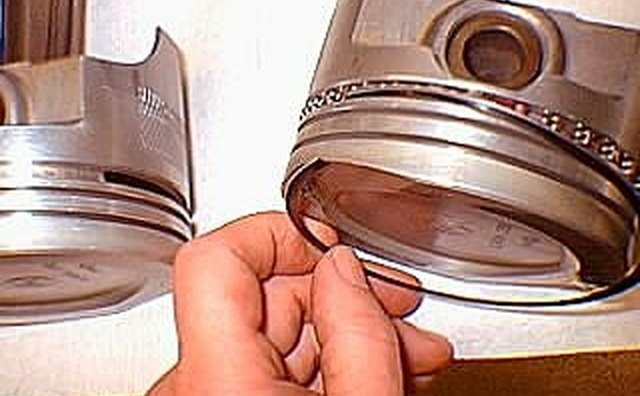 Time to install the rings on your pistons, you can install them with your fingers and I'll show you how this is done. 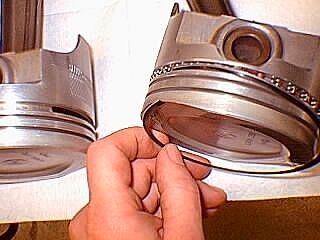 Place oil scraper spring expander rings first, these hold the oil scraper rings in place to clean the oil off the cylinder walls as the piston travels downward. 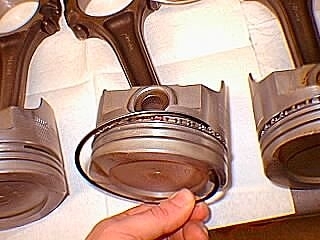 Make sure the ends of the spring rings are properly assembled. 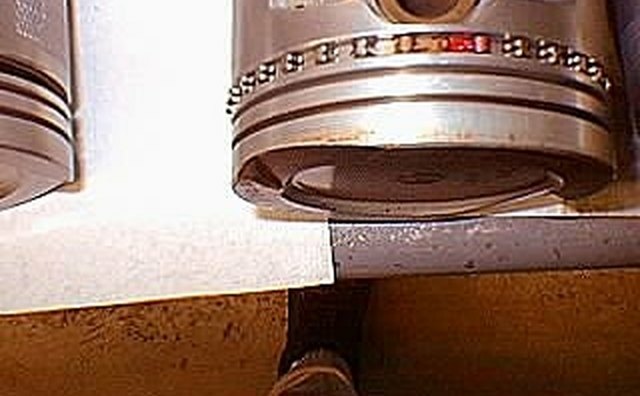 Place the scraper rings over the spring ring as shown in the picture, I aways install the one closest to the top of the piston first, overlapping the joint of the spring ring by at least an inch. 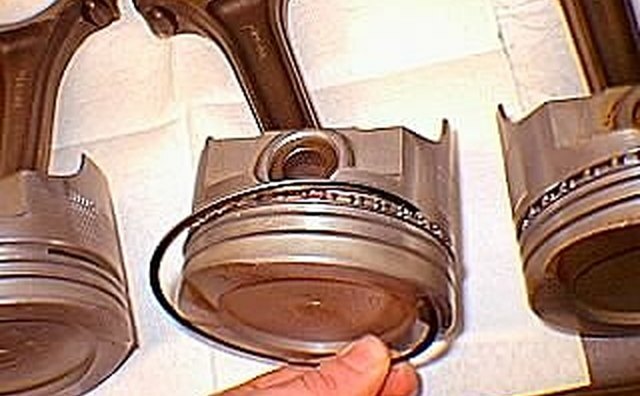 Then install the second scraper ring as shown in the picture. This time overlapping on the opposite side of the spring ring opening. 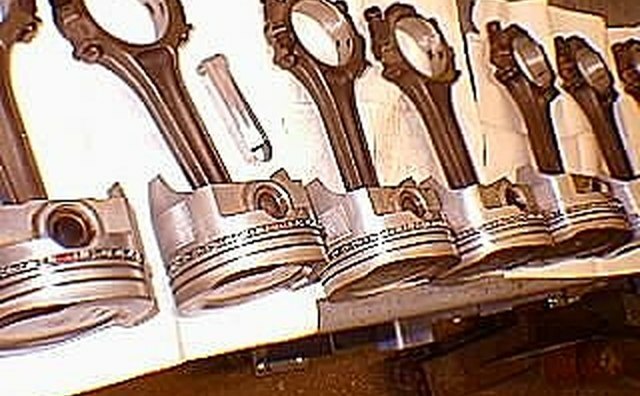 Work in assembly line fashion installing rings in order on each of the pistons, this speeds up the process and prevents mistakes. 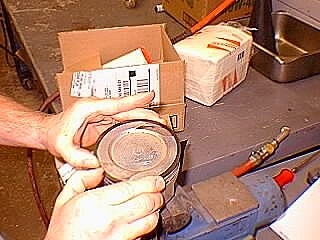 Set the piston in an open vise (not clamped) and install the 2nd compression ring. 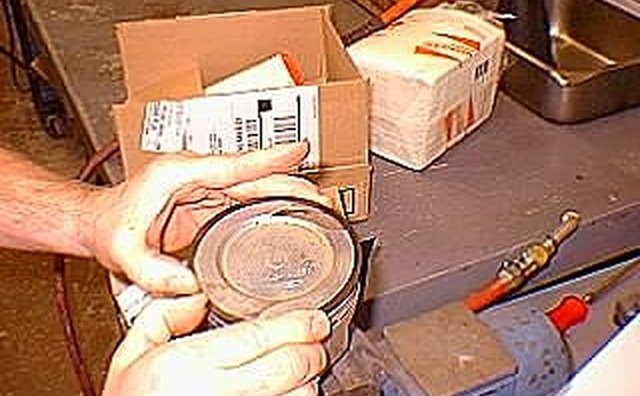 Note most rings will be labeled up and on the box the position that it will be installed is usually noted such as Top Compression Ring or 2nd Compression Ring. 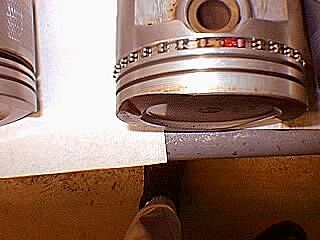 Install all the 2nd compression rings then install all the top compression rings last. 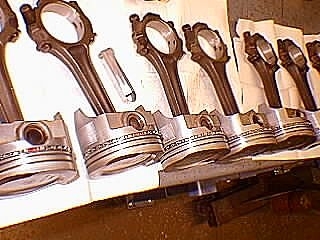 Your pistons are now ready to be installed back into the engine. Rings can be sharp and could cut you, also if they break small bits of metal could go flying so eye protection is a must.